Tom and Michael, a couple of seven years, invite a group of friends to watch New York's Gay Pride Parade from the window of their Greenwich Village apartment. When they discover that one of their own has decided to trade in his rainbow flag for a wedding ring, all the men confront the ever changing notions of love, pride, and the power of sexual identity. 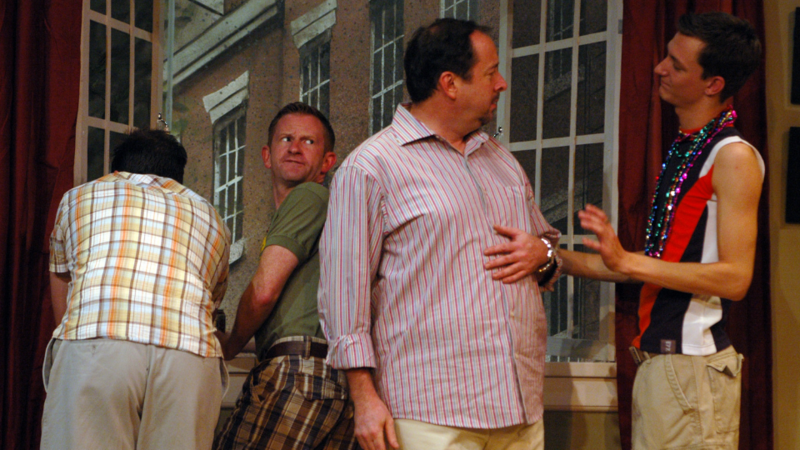 The history of modern gay theater begins with The Boys in the Band, passes through Love! Valor! Compassion! and arrives at The Last Sunday in June.